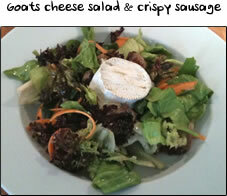 This salad looks great and is all about preparation and presentation. 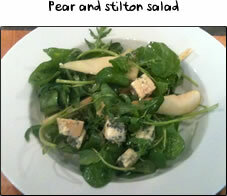 Crisp baby gem lettuce leaves are coated in a mild and creamy gorgonzola dressing. 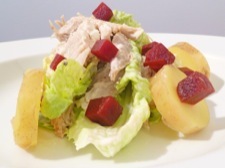 Throw in some cold cooked chicken or turkey with some new potatoes and beetroot for colour and texture. 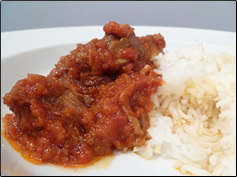 Whilst not necessarily low calorie, this recipe is a delicious way to use up the last of your Christmas turkey. Light, moreish and very very tasty. Before you start have all the ingredients out and prepared. 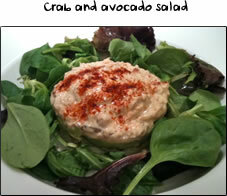 Have your food processor out and plugged in and click here! Put 50g of gorgonzola into your food processor together with 100g of creme fraiche. Add a small pinch of salt and pepper then blend until combined. Pour the cheesy creme fraiche into a large mixing bowl and, using only one hand, toss the salad leaves through the dressing. This leaves you with a clean hand to pick up the bowl of cooked chicken/turkey pieces! 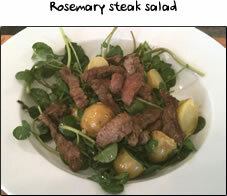 Toss the meat pieces in with the salad. To serve, place one of the larger lettuce leaves in the middle of a plate and top with a little chicken/turkey. Add a slightly smaller leaf on top and add a little more chicken/turkey. Keep layering the leaves and turkey before resting the potato disks around the outside. Lastly, scatter some beetroot squares over the top and you're done!